Round-the-clock motion and environmental contaminants can easily lead to erosion of concrete in parking structures and garages. Black Bear engineers solutions that endure the elements that lead to faster corrosion of concrete flooring to provide a more cost-effective, longer lasting foundation. 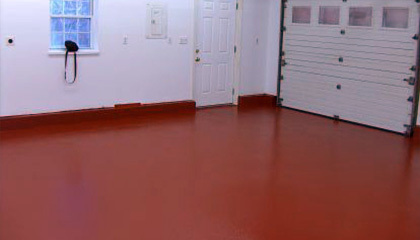 Black Bear Coatings & Concrete has designed flooring for indoor and open air garages around New England. We assess your specific environment to determine the considerations that need to be addressed before creating an effective product and presenting you with options. 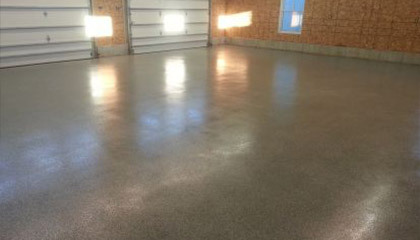 Parking garage floors withstand extreme conditions unlike any other concrete flooring application on the market today. Stress on these types of floors like salt contaminated water, constant abrasion, thermal variation and vehicle impact requires that the appropriate flooring be installed by trained, knowledgeable professionals on the site. Black Bear specializes in parking garage floor solutions that are resistant to abrasion, slipping, oil, gasoline, chlorides and other chemicals. We work very closely with property and facility managers to mitigate downtime and work around traffic schedules including scheduling work on nights and weekend if necessary. Black Bear has engineered solutions for many parking structures in Massachusetts, Rhode Island, and the surrounding areas including: Automotive Worcester and Block Island. Talk to Black Bear about designing and installing a cost-effective, durable surface for your manufacturing space. Fill out the online form and a client representative will be in touch. Or, please call 978-405-0017.